The Iran Sanctions Act of 1996, set to expire on December 31, was raised for debate this week. While Democratic and Republican Senators called the renewing of the law “crucial” because “it remains a critical tool to deter and impede individuals and entities supporting Iran’s development of conventional weapons and weapons of mass destruction”, others fought against the renewal, as reported in rollcall. The Wall Street Journal dwelled on this matter stating that the Administration seeks further loosening of restrictions on Iran. The EU Parliamentarians also debated a draft report phrasing a “new strategy” vis a vis Iran, termed “EU Strategy Towards Iran after the Nuclear Agreement” which also seeks to improve relations and overlook Iran’s behavior. So, what was Iran doing, while the West was discussing reconciliation and loosening of restrictions? Iran was busy shooting. Once again. 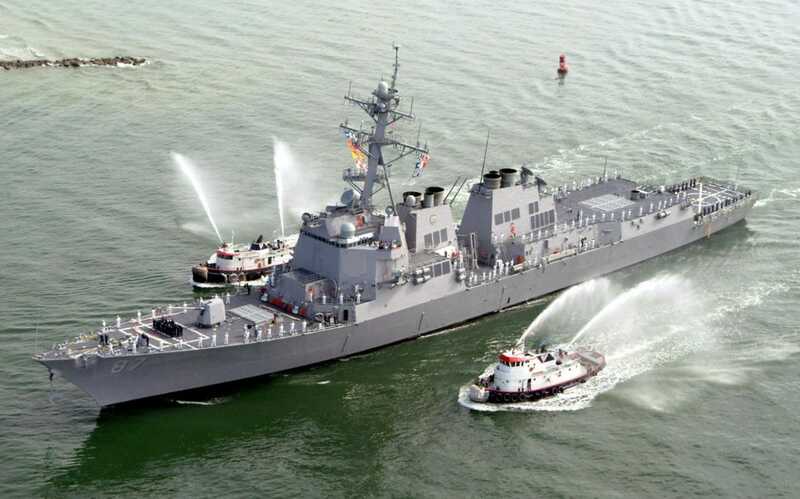 As reported extensively, in a multitude of media outlets, Houthi rebel forces, backed by the Iranian government, provocatively fired ballistic missiles at the USS Mason. The ship carries about 330 sailors. The Hill rightfully saw this as part and parcel of the proxy war between the US and Iran. Only, the initiative came from Iran, while the US debated loosening restrictions. Commentary Magazine candidly analyzed – when US warships come under attack it is called an act of war. Due to the fact that the Houthi movement gets their missiles from Iran, this could be (or “should be”) seen as an act of war by Iran against the US. The Wall Street Journal, in its article coined wisely “Iranian Cause And Effect“, asked the question plainly and bluntly – “So what better way to repay White House’s generosity than by firing on U.S. ships?”. Due to the mounting criticism, and calls “Iran acts of war cannot go ignored“, the US did respond, this time. The response was also reported in Reuters under the heading US military strikes Yemen after missile attacks on US Navy ship. The article quotes US officials stating that “there were growing indications that Houthi fighters, or forces aligned with them, were responsible for Sunday’s attempted strikes”. Interesting to note that Iran is not mentioned in the official statement, even though Iran is identified as The Force “aligned with them”. Apparently, “officials” do not want the facts to disturb the reconciliation or jeopardize the sacred nuclear agreement. Iran lives up well to the famous statement from “The Good the Bad and the Ugly”: “When you have to shoot, shoot, don’t talk”. Just in the Iranian context it is “When you want to shoot, even for no reason, shoot, don’t talk. Let them do the talking”. I would like to see evidence of this alleged attack—– I was an infantry platoon ldr and rifle company commander in Vietnam———- and what started it all? A phony attack the LBJ admin made up, known as the Gulf of Tonkin.